By default, RabbitMQ packages are included in Ubuntu and Debian Linux distributions. The problem is, they are horribly outdated. You are far better off downloading the package online and installing it yourself. After the repository is added, we will add the RabbitMQ public key to our trusted key list to avoid any warnings about unsigned packages. Now we just need to run an update, and install the rabbitmq-server from our newly added package. To manage your RabbitMQ server, you can use the rabbitmq-management plugin. This plugin allows you to manage and monitor your RabbitMQ server in a variety of ways, such as listing and deleting exchanges, queues, bindings and users. You can send and receive messages, and monitor activity on specific queues. set_permissions -p / newadmin ". *" ". *" ". *"
The default username and password are guest and guest. 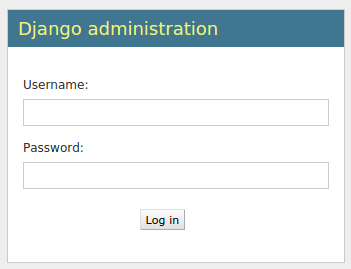 Login, and you will be greeted with the RabbitMQ dashboard. Congratulations! You now have your own RabbitMQ Server. If you have any questions, feel free to leave them in the comments below. Create .htaccess file in root folder, i.e advanced/.htaccess and write below code. Note : if you are trying in local server then replace ^/ with ^/project_name/ where you see arrow sign. Remove those arrow sign <------ after setup is done. Now create a components/Request.php file in common directory and write below code in this file. Using this function, both will work. Installing component. Write below code in frontend/config/main.php and backend/config/main.phpfiles respectively. Solr’s world view consists of documents, where each document consists of searchable fields. The rules for searching each field are defined using field type definitions. A field type definition describes the analyzers, tokenizers and filters which control searching behaviour for all fields of that type. When a document is added/updated, its fields are analyzed and tokenized, and those tokens are stored in solr’s index. When a query is sent, the query is again analyzed, tokenized and then matched against tokens in the index. This critical function of tokenization is handled by Tokenizer components. In addition to tokenizers, there are TokenFiltercomponents, whose job is to modify the token stream. There are also CharFilter components, whose job is to modify individual characters. For example, HTML text can be filtered to modify HTML entities like &amp; to regular &. If there is only one analyzer element, then the same analyzer is used for both indexing and querying. It’s important to use the same or similar analyzers that process text in a compatible manner at index and query time. For example, if an indexing analyzer lowercases words, then the query analyzer should do the same to enable finding the indexed words. Solr builds a TokenizerChain instance for each of these analyzers. A TokenizerChain is composed of 1 TokenizerFactory instance, 0-n TokenFilterFactory instances, and 0-n CharFilterFactoryinstances. These factory instances are responsible for creating their respective objects from the Lucene framework. For example, a TokenizerFactory creates a Lucene Tokenizer; its concrete implementation WhitespaceTokenizerFactory creates a Lucene WhitespaceTokenizer. Each CharFilterFactory creates a character filter that modifies input CharStream and outputs a CharStream. So CharFilterFactories can be chained. TokenizerFactory creates a Tokenizer from the CharStream. Tokenizer is-a TokenStream, and can be passed to TokenFilterFactories. Each TokenFilterFactory modifies the token stream and outputs another TokenStream. So these can be chained. solr.MappingCharFilterFactory Maps a set of characters to another set of characters.The mapping file is specified by mappingattribute, and should be present under /solr/conf. solr.HTMLStripCharFilterFactory Strips HTML/XML from input stream.The input need not be an HTML document as only constructs that look like HTML will be removed. Attributes within tags are also removed, and attribute quoting is optional. Removes contents of <script> and <style> elements. Replaces numeric character entities references like A or The terminating ‘;’ is optional if the entity reference is followed by whitespace. Replaces all named character entity references. solr.WhitespaceTokenizerFactory A tokenizer that divides text at whitespaces, as defined byjava.lang.Character.isWhiteSpace().Adjacent sequences of non-whitespace characters form tokens. solr.StandardTokenizerFactory A good general purpose tokenizer. Splits words at punctuation characters, removing punctuation. However, a dot that’s not followed by whitespace is considered part of a token. Not suitable for file names because the .extension is treated as part of token. Splits words at hyphens, unless there’s a number in the token, in which case the whole token is interpreted as a product number and is not split. Recognizes email addresses and internet hostnames as one token. solr.PatternTokenizerFactory Uses regex pattern matching to construct distinct tokens for the input stream. It takes two arguments: “pattern” and “group”. “pattern” is the regular expression. “group” says which group to extract into tokens. split on intra-word delimiters (all non alpha-numeric characters). "//hello---there, 'dude'" -> "hello", "there", "dude"
Note: this step isn’t performed in a separate filter because of possible subword combinations. "j2se" => "j" "2" "se"
stemEnglishPossessive=”1″causes trailing “‘s” to be removed for each subword. "A's+B's&C's" -> 0:"A", 1:"B", 2:"C", 2:"ABC"
solr.SynonymFilterFactory Matches strings of tokens and replaces them with other strings of tokens. The synonyms parameter names an external file defining the synonyms. If ignoreCase is true, matching will lowercase before checking equality. If expand is true, a synonym will be expanded to all equivalent synonyms. If it is false, all equivalent synonyms will be reduced to the first in the list. solr.HyphenatedWordsFilterFactory Combines words split by hyphens. Use only at indexing time. solr.KeepWordFilterFactory Retains only words specified in the “words” file. solr.LowerCaseFilterFactory Changes all text to lower case. maxPosAsterisk – maximum position (1-based) of the asterisk wildcard (‘*’) that triggers the reversal of query term. Asterisk that occurs at positions higher than this value will not cause the reversal of query term. Defaults to 2, meaning that asterisks on positions 1 and 2 will cause a reversal. maxPosQuestion – maximum position (1-based) of the question mark wildcard (‘?’) that triggers the reversal of query term. Defaults to 1. Set this to 0, and maxPosAsteriskto 1 to reverse only pure suffix queries (i.e. ones with a single leading asterisk). maxFractionAsterisk – additional parameter that triggers the reversal if asterisk (‘*’) position is less than this fraction of the query token length. Defaults to 0.0f (disabled). minTrailing – minimum number of trailing characters in query token after the last wildcard character. For good performance this should be set to a value larger than 1. Defaults to 2. Note 1: This filter always reverses input tokens during indexing. Note 2: Query tokens without wildcard characters will never be reversed. The default deployment contains a set of predefined text field types. The following table gives their tokenization details and examples. – Words delimiters are used to generate word tokens. catenateAll = 1 => wi-fi-35 will generate wi, fi, wifi, 35 and wifi35. catenateAll = 0 => wi-fi-35 will generate wi, fi, wifi and 35, but not wifi35. splitOnCaseChange=1 => camelCase will generate camel and case. – All text is changed to lower case. In querying, only the synonym filter is additional. So something like TV which is in the synonym group “Television, Televisions, TV, TVs” results in this query token stream: televis televis tv tvs (“televis” is because “television” has been stemmed by Snowball Porter). textgen Very similar to “text” but without stemming. – Note that there is no stemmer, which is what makes this different from “text” type. For file paths and filenames, “textgen” seems to give the most appropriate results. text_ws Just simple whitespace tokenization. text_rev Similar to “textgen”, this is for general unstemmed text field that indexes tokens normally and also reversed (via ReversedWildcardFilterFactory), to enable more efficient leading wildcard queries. Install OS X on a single partition hard drive. Download drivers for Mac and burn to CD. Make 60GB Bootcamp partition for Windows. When prompted for install disc, STOP installation and quit Bootcamp. Launch Disk Utility. Look at the 2 partitions. Shrink Mac OS X partition to 100GB. Click on + to create a 3rd partition in free space. Split that partition into however many other partitions you want. Insert Windows 7 installer DVD and restart Mac. After the startup chime, hold down OPTION key. Wait a while until the Windows 7 DVD appears and select it. Mac should start up from DVD. Start installing Windows 7. Continue until finished. DO NOT connect to internet. Load Bootcamp drivers CD that you burned and install. When finished, restart and log into Windows 7. Continue installing your applications. Do activations. When finished, restart, holding down the OPTION key. You are done. You should now see your OS X Lion and Win 7 partitions. ***Notation for Macbook Pro early or late 2011, you must install bootcamp from build-in DVD drive. If you found error like: “Drivers not found bootcamp” pleas go to enable check on bootcamp to install vai USB drive.